If you want to steal the heart from a good relationship, you do not need many words. Happy Noah says it all. The deep red of these roses leaves every room glowing. What a beautiful gift! 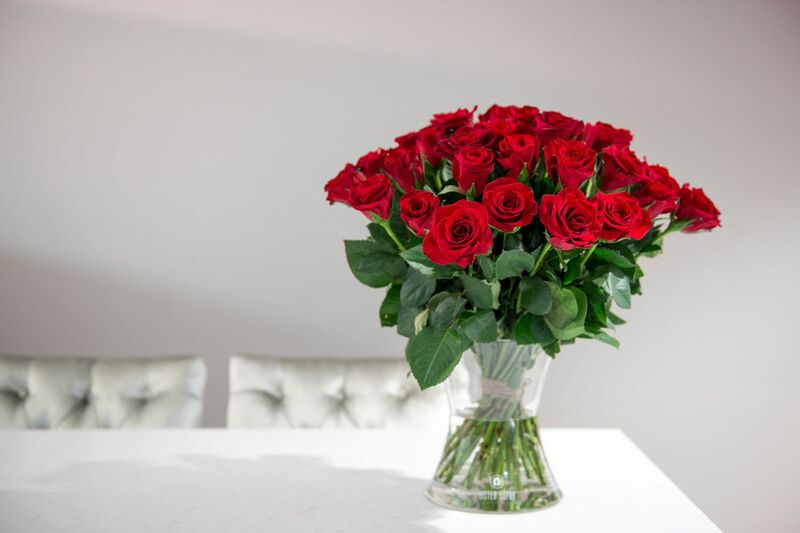 Do not miss out: the diameter of this bouquet is about half a meter, just like the height.